Johnny Scott was the first driver out of the race Saturday night at the Park Jefferson Speedway but he was the first one to the finish line Sunday night at the Casino Speedway, taking one giant leap toward his first USMTS national championship and a $50,000 check. For his 12th triumph of the 2018 campaign, Scott’s take-home pay was more than $4,000 for winning the 3rd Annual Sandy Benson Memorial at the high-banked quarter-mile bullring in Watertown, S.D. Three drivers led their first feature race laps during the USMTS Hunt for the Casey’s Cup powered by Summit before Scott took command and checked out to a margin of victory of more than five seconds. Polesitter Travis Saurer led the first lap but Tyler Peterson snuck by to lead the second go-around. After five laps at the front, he gave way to Dereck Ramirez who looked to have the car to beat. Meanwhile, Scott wasted little time in joining a tremendous four-car battle at the front. Despite starting eighth, he was fourth by lap 4 and then followed Ramirez into second with seven laps in the books. By lap 20, Ramirez had pulled out to a four-car-length advantage while Scott still had his hands full with Peterson. A flat tire for Jake O’Neil on lap 21 slowed the pace and brought out the race’s fourth yellow flag. Back under green, Ramirez continued to lead by scooting around the low side while Scott raced through the middle and high lines. But after crossing underneath the flagstand to complete the 25th lap, Ramirez moved up and Scott willingly assumed the bottom groove of the racing surface. And despite a final caution with 14 laps to go, that was the closest Ramirez would ever get to Scott again as the 28-year-old native of Las Cruces, N.M., ran off and hid while Ramirez was left to defend the runner-up finish from Peterson. Adam Kates raced among the top five for the entire 40 laps, eventually earning a fourth-place finish while Terry Phillips advanced from the seventh row to finish fifth. Stormy Scott passed ten cars to get to sixth at the checkers, with Saurer, Tyler McDonald, Zack VanderBeek and Rodney Sanders rounding out the top ten. Working Labor Day Weekend: Four big nights are on tap for Labor Day Weekend, beginning Thursday, Aug. 30, with the make-up event from Friday’s rain-out at the Rapid Speedway in Rock Rapids, Iowa. 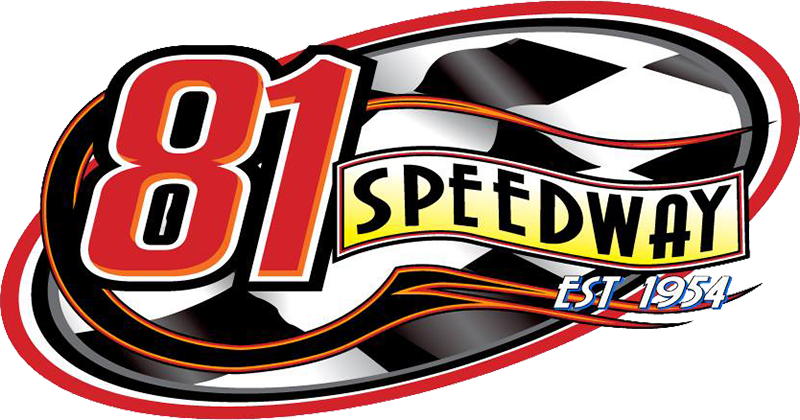 The series stops at the Fayette County Speedway in West Union, Iowa, on Friday, Aug. 31, and Saturday, Sept. 1, at the Deer Creek Speedway in Spring Valley, Minn., before completing the four-night swing on Sunday, Sept. 2, at the Cresco Speedway in Cresco, Iowa. The final points race in the USMTS Hunt for the Casey’s Cup powered by Summit will take place on Thursday, Sept. 20, during opening night of the 20th Annual Featherlite Fall Jamboree. 1. (1) 23 Adam Kates, Tonganoxie, Kan.
3. (3) 57 Duke Erickson, Sioux Falls, S.D. 7. (2) 8c Chris Clark, Jackson, Wyo. 8. (9) 10c Chad Olsen, Hendricks, Minn.
9. (5) 21 Kurtis Clark, Madison, S.D. 2. (2) 21x Travis Saurer, Elizabeth, Minn.
3. (4) 14 Jon Tesch, Watertown, S.D. 4. (3) 24s Mike Stearns, Hecla, S.D. 5. (8) 5m Tyler McDonald, Huron, S.D. 6. (6) 85 Jayson Good, Watertown, S.D. 7. (7) 20 Rodney Sanders, Happy, Texas. 8. (9) 2s Stormy Scott, Las Cruces, N.M.
9. (5) 51 Alex Guthmiller, Huron, S.D. 2. (1) 24d Scott Ward, Watertown, S.D. 4. (6) 9 Kent Arment, Aberdeen, S.D. 5. (9) 75 Terry Phillips, Springfield, Mo. 6. (4) 41 Jordan Foster, Henry, S.D. 7. (8) 37jr Morgan Ward, Watertown, S.D. 8. (7) 3 Arne Anderson, Watertown, S.D. 9. (3) 1j Matt Jeratowski, Madison, S.D. 1. (7) 1tpo Tyler Peterson, Hickson, N.D.
3. (2) 32 Jesse Young, Warner, S.D. 5. (9) 07 Cory Crapser, Chippewa Falls, Wis.
6. (1) 9 Tyler Anglin, Aberdeen, S.D. 7. (6) 1 Ryan Engels, Watertown, S.D. 9. (8) 52x David McDonald, Huron, S.D. 2. (3) 5k Kyle Prauner (R), Norfolk, Neb. 3. (1) 32 Jesse Young, Warner, S.D. 4. (4) 24s Mike Stearns, Hecla, S.D. 6. (6) 41 Jordan Foster, Henry, S.D., GRT/Sput’s, $75. 7. (7) 37jr Morgan Ward, Watertown, S.D., LG2/CNC, $75. 8. (10) 3 Arne Anderson, Watertown, S.D., Arrow/Sturdy, $75. 9. (9) 10c Chad Olsen, Hendricks, Minn., MBCustoms/Tim’s, $75. 10. (12) 1j Matt Jeratowski, Madison, S.D., Arrow/Sturdy, $75. 11. (11) 21 Kurtis Clark, Madison, S.D., GRT/Bruns, $75. 12. (8) 20 Rodney Sanders, Happy, Texas. 1. (3) 5m Tyler McDonald, Huron, S.D. 2. (9) 2s Stormy Scott, Las Cruces, N.M.
4. (1) 9 Kent Arment, Aberdeen, S.D. 5. (11) 51 Alex Guthmiller, Huron, S.D. 6. (12) 52x David McDonald, Huron, S.D., MBCustoms/Dakota, $75. 7. (4) 20 Trevor Anderson (R), Watertown, S.D. 8. (8) 1 Ryan Engels, Watertown, S.D., TRE/Victory, $75. 9. (5) 85 Jayson Good, Watertown, S.D. 10. (7) 8c Chris Clark, Jackson, Wyo. 11. (10) 5 Luke Lick, Rosholt, S.D., MasterSbilt/Worx, $75. 12. (6) 9 Tyler Anglin, Aberdeen, S.D., MasterSbilt/Sput’s, $75. 1. (8) 1st Johnny Scott, Cameron, Mo., VanderBuilt/Durham, 40, $4400. 2. (4) 4r Dereck Ramirez, Woodward, Okla., Hughes/Cornett, 40, $1875. 3. (3) 1tpo Tyler Peterson, Hickson, N.D., BlackWidow/ProPower, 40, $1000. 4. (5) 23 Adam Kates, Tonganoxie, Kan., LG2/Speedway, 40, $1050. 5. (13) 75 Terry Phillips, Springfield, Mo., GRT/Durham, 40, $940. 6. (16) 2s Stormy Scott, Las Cruces, N.M., VanderBuilt/Mullins, 40, $835. 7. (1) 21x Travis Saurer, Elizabeth, Minn., MBCustoms/PerfAuto, 40, $450. 8. (14) 5m Tyler McDonald, Huron, S.D., MBCustoms/Dakota, 40, $450. 9. (9) 33z Zack VanderBeek, New Sharon, Iowa, VanderBuilt/Stoen, 40, $705. 10. (23) 20 Rodney Sanders, Happy, Texas, MBCustoms/Hatfield, 40, $675. 11. (10) 69 Lucas Schott, Chatfield, Minn., MBCustoms/Hill, 40, $650. 12. (20) 9 Kent Arment, Aberdeen, S.D., Hughes/Dakota, 40, $450. 13. (19) 24s Mike Stearns, Hecla, S.D., MasterSbilt/Tim’s, 40, $450. 14. (2) 48 Brent Dutenhoffer (R), Watertown, S.D., Hughes/Sput’s, 40, $450. 15. (18) 07 Cory Crapser, Chippewa Falls, Wis., MBCustoms/Troy’s, 40, $450. 16. (7) 0 Jake O'Neil (R), Tucson, Ariz., LG2/Cornett, 40, $575. 17. (25) 85 Jayson Good, Watertown, S.D., MasterSbilt/Cressman, 40, $450. 18. (24) 8c Chris Clark, Jackson, Wyo., GRT/PerfAuto, 39, $450. 19. (26) 20 Trevor Anderson (R), Watertown, S.D., Arrow/Victory, 39, $450. 20. (22) 51 Alex Guthmiller, Huron, S.D., MBCustoms/Dakota, 32, $450. 21. (11) 14 Jon Tesch, Watertown, S.D., GRT/Sput’s, 31, $450. 22. (12) 57 Duke Erickson, Sioux Falls, S.D., Dominator/Hansen, 26, $450. 23. (15) 5k Kyle Prauner (R), Norfolk, Neb., Razor/ChevPerf, 15, $450. 24. (17) 32 Jesse Young, Warner, S.D., MasterSbilt/Sturdy, 8, $450. 25. (21) 91 Joe Duvall, Claremore, Okla., MBCustoms/ChevPerf, 5, $650. 26. (6) 24d Scott Ward, Watertown, S.D., LG2/CNC, 0, $450. Lap Leaders: Saurer 1, Peterson 2-6, Ramirez 7-25, J. Scott 26-40. Total Laps Led: Ramirez 19, J. Scott 15, Peterson 5, Saurer 1. Margin of Victory: 5.055 seconds. Time of Race: 22 minutes, 2.033 seconds (5 cautions). Provisional Starters: Sanders, Clark, T. Anderson (track), Good (track). Eibach Spring Forward Award: S. Scott (advanced 18 positions). FK Rod Ends Hard Charger: S. Scott (started 16th, finished 6th). Next Race: Thursday, Aug. 30, Rapid Speedway, Rock Rapids, Iowa. USMTS Hunt for the Casey’s Cup Points: TBD. Grant Junghans USMTS Rookie of the Year Points: O'Neil 2046, Lance Mari 1163, Carlos Ahumada Jr. 760, Zane Ferrell 692, Prauner 627. USMTS Engine Builder of the Year Points: Durham 280, Mullins 233, Cornett 228, Hatfield 216, Hill 194. USMTS Manufacturers Championship Points: VanderBuilt 331, MBCustoms 310, Hughes 239, GRT 238, LG2 222. Beyea Custom Headers – Good. Casey’s General Stores – TBD. E3 Spark Plugs – Peterson. Forty9 Designs – Dutenhoffer, T. Anderson. GRT Race Cars – Lick. Jerovetz Motorsports Racing Parts – Crapser. Out-Pace Racing Products – O’Neil. Simpson Performance Products – Kates. Swift Springs – J. Scott, Peterson. Wehrs Machine & Racing Products – Guthmiller. Wilwood Disc Brakes – Saurer.